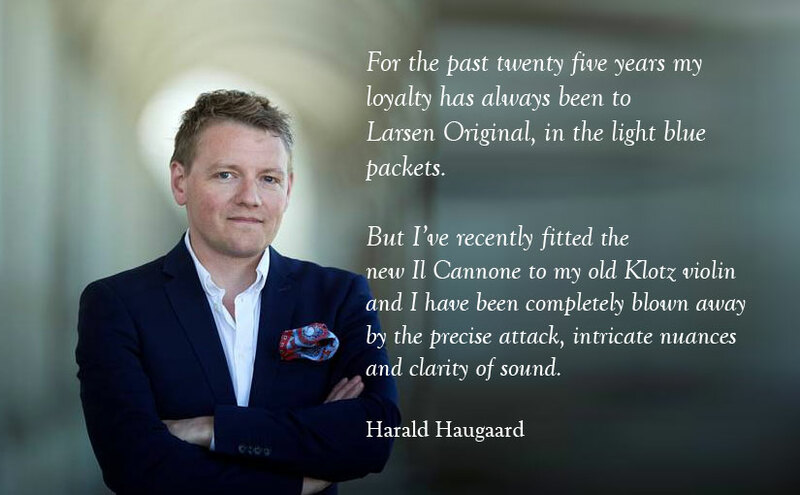 ‘For the past twenty five years my loyalty has always been to Larsen Original, in the light blue packets. But I’ve recently fitted the new Il Cannone to my old Klotz violin and I have been completely blown away by the precise attack, intricate nuances and clarity of sound. Il Cannone. Strings for all seasons (and venues).